On Tuesday, March 26, the final plenary vote on the incredibly controversial Copyright Reform will take place in the European Parliament. It’ll be the decisive vote on whether it’ll become EU law and it’s fair to say the stakes are high. One of the most disputed parts of the current version (there are quite a few) is Article 13, which makes platforms responsible for users’ possible copyright infringements and basically requires them to build impossible ‘upload filters.’ The law could filter out vast amounts of harmless content from being uploaded by users — e.g. Miley Cyrus’ birthday wishes to her hubby — which is why platforms like Wikipedia and Reddit have protested the directive. GitHub too has been vocal on the unintended and possibly disastrous effects the Copyright Reform could have on the developer community and open source projects. Lines of code can be copyright protected and that’s something policy makers didn’t seem to take into account. This would have been a huge threat to the open source community, but fortunately Github’s efforts — led by Vollmer and Tal Niv, VP of Law and Policy — had lawmakers add an amendment that excluded open source development platforms. So, problem solved, right? Vollmer and Niv explain that although these amendments were a step in the right direction, they didn’t capture the essence of the issue: the Copyright Reform was clearly designed around platforms like YouTube, which runs on content that creators want to make money with. For software code, developers can choose different open source licenses which still include some terms, but they might not be about making money when the code is shared. Article 13’s debatable usefulness breaks down when that type of code is uploaded to a platform like GitHub. The crux is that Article 13 automatically applies to all platforms, rather than just those that deal with the type of copyrighted content it was meant to protect. This means policy makers need to create tailored exemptions to prevent outlawing platforms like GitHub, Wikipedia, and discussion boards on news sites. 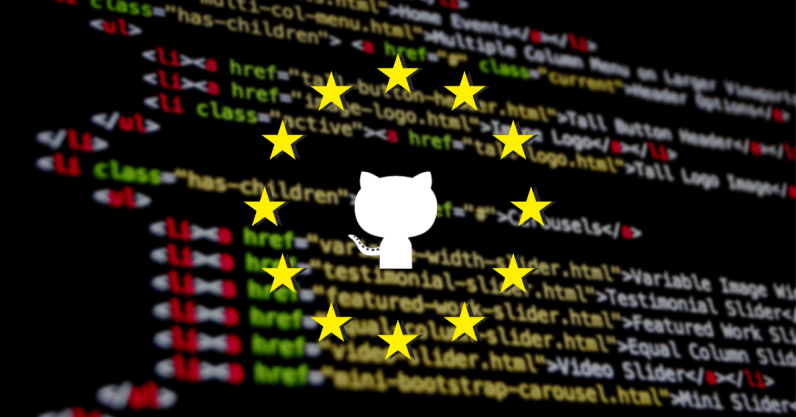 GitHub luckily managed to get out from under Article 13 with the inclusion of the “open source software developing and sharing platforms” exemption. However, the exemption is still quite narrow, leaving out plenty of other platforms and many of the projects developers in the GitHub community are working on. That’s how GitHub accidentally found itself in the role of representing developers as a whole. The Copyright Reform’s lack of clarity will cause numerous problems for developers, which is why Niv and Vollmer are still pushing policy makers to drop Article 13 from the reform and completely rework it. For example, developers will need an army of lawyers just to know how to comply — which most startups and smaller open source projects can’t afford. Therefore, it doesn’t bode well that the Copyright Reform — which will have such extensive effects on our digital environment — has been duct-taped together with exceptions, rather than approached from the beginning in a responsible and sustainable way which reflects our digital realities. Exemptions make it weaker and less equipped to adapt to the evolution of technology, threatening the future of open source and the developer community. The final and incredibly important vote on the Copyright Reform will take place in the EU Parliament on March 26. If you care deeply about this issue, there’s still some time to contact your representatives and make your voice heard.